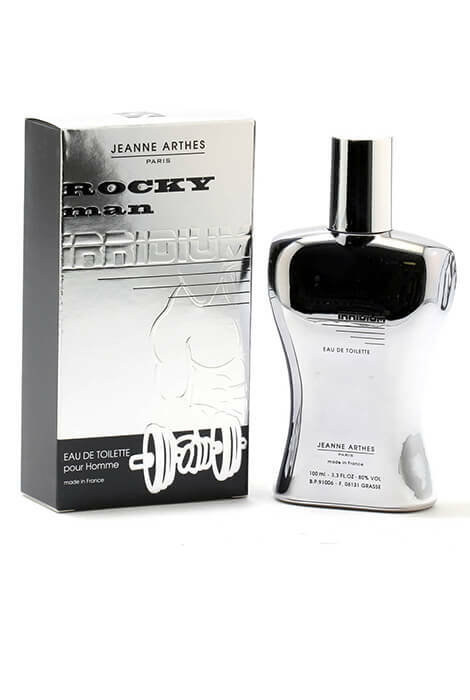 Rocky Man Irridium by Jeanne Arthes is a woody, aromatic fragrance with notes of tangerine, bergamot, galbanum, sandal, tea, patchouli, amber and sea water. It smells fresh and clean with a hint of sweetness. This is another new scent from Jeanne Arthes. An EDT spray in 3.3 fl. oz.